Review: I See You • Tips, Trends & News in 60 Seconds or Less! MISSIO’s “I See You” is truly beautiful. The duo created this song as an ode to anyone who has felt “down and depressed, just a mess.” It speaks from an outsider’s perspective, acknowledging all the problems someone faces. The song highlights the idea that people may feel lonely and misunderstood, especially when their own family and friends may not even realize the extent of their troubles. “I See You” spreads the message that everything will be alright. The softness of the artists’ voices set a genuine tone. It begins with simple piano chords, leading to a crescendo when the drums are added. Although it becomes slightly fast-paced, the eerie background vocals help to maintain the solemness; without the faster pace, the song would become too heavy to listen to without being in a certain emotional state. 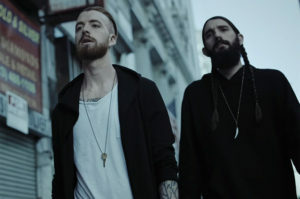 MISSIO did a great job at creating a song to connect with the issues their listeners face. While the song is not the best to listen to on a daily basis, it is a good song to help people feel better when they are down.